Backbone is most important part of a system which provides the central support to the rest system, for example backbone of a human body that balance and hold all the body parts. Similarly in Computer Networks a Backbone Network is as a Network containing a high capacity connectivity infrastructure that backbone to the different part of the network. Actually a backbone network allows multiple LANs to get connected in a backbone network, not a single station is directly connected to the backbone but the stations are part of LAN, and backbone connect those LANs. Because of increasing use of distributed applications and PCs, a new flexible strategy for LANs has been introduced. 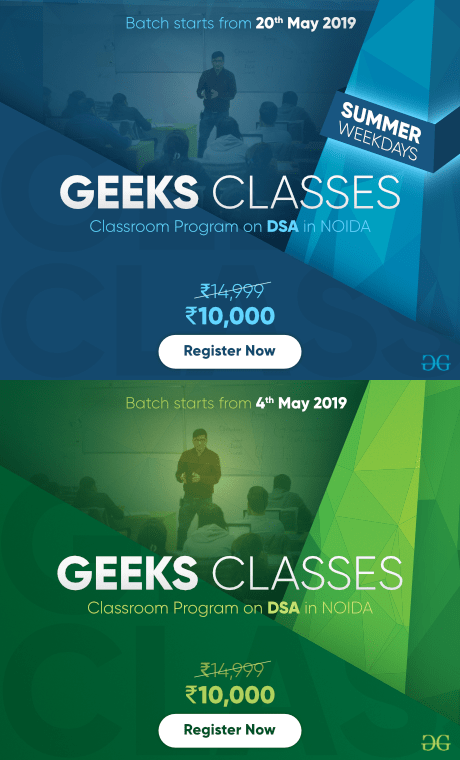 if a premises wide data communication system is to be supported then we need a networking system which can span over the required distance and which capable of interconnecting all the equipment in a single building or in a group of buildings. With a single LAN, the reliability will be poor since a service interruption even for a short duration can cause major problem to the user. A single LAN can not give its optimum performance for the diverse requirements of communication and interconnection. So the alternative for using a single LAN is to use low cost low capacity LANs in each building or department and then interconnection all these LANs with high capacity LAN. such a network is called as Backbone LAN. the backbone network allows several LANs to be connected. in the backbone network, no station is directly connected with backbone, instead each station is a part a LAN, and the LANs are connected to the backbone. 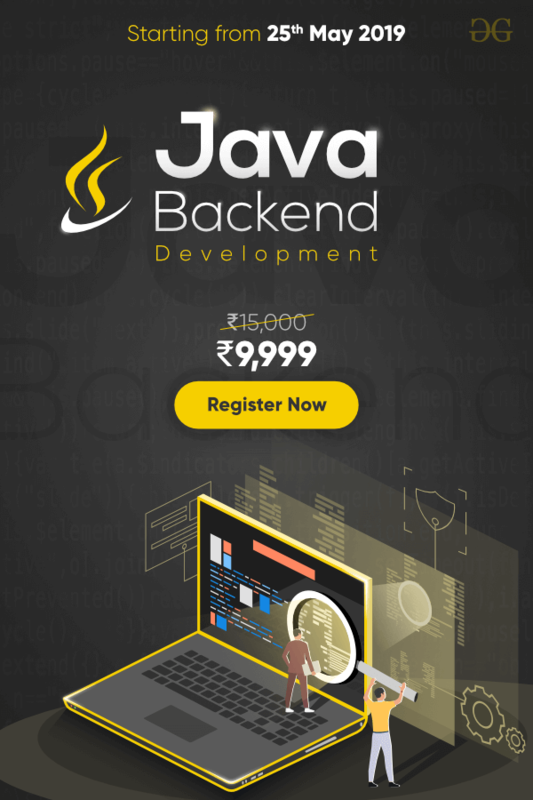 The backbone itself is a LAN, it uses a LAN protocol such as ethernet, Hence each connection in the backbone is itself another LAN. 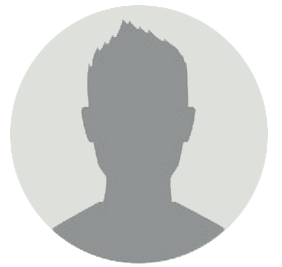 The two very common used architectures are: Bus backbone, Star backbone. These are explained as following below. In Bus backbone the topology used for the backbone is bus topology. 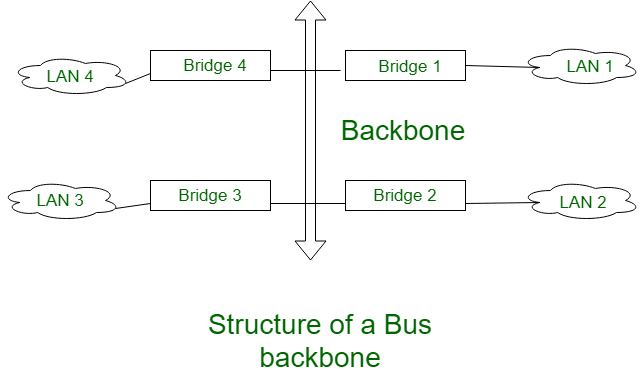 In above the Bus backbone structure is used as a distribution backbone for connecting different buildings in an organization. 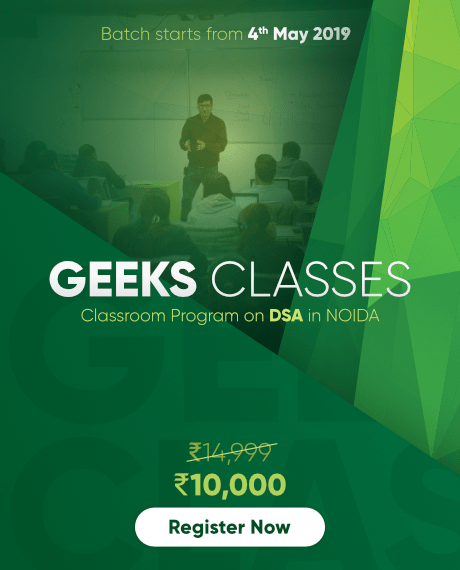 each building may have either a single LAN or another backbone which comes in star backbone. the structure is a bridge based (bridge is the connecting device) backbone with four LANs. In above structure if a station in LAN 2 wants to send a frame to some other station in Same LAN then Bridge 2 will not allow the frame to pass to any other LAN, hence this frame will not reach the backbone. If a station from LAN 1 wants to send a frame to a station in LAN 4 then Bridge 1 passes this frame to the backbone. This frame is then received by Bridge 4 and delivered to the destination. The topology of this backbone is star topology. 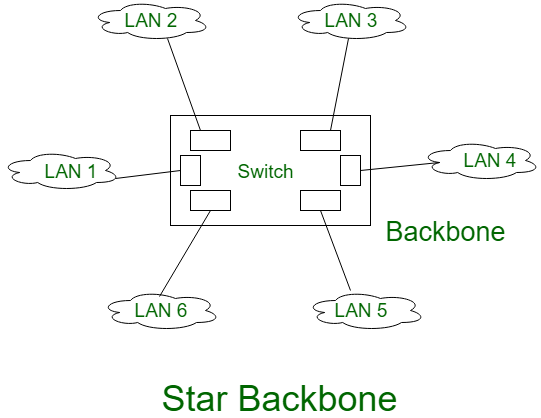 Above figure shows the Star backbone in this configuration, the backbone is simply a switch which is used to connect various LANs. The switch does the job of backbone and connect the LANs as well. This type of backbone are basically used as distribution backbone inside a building. 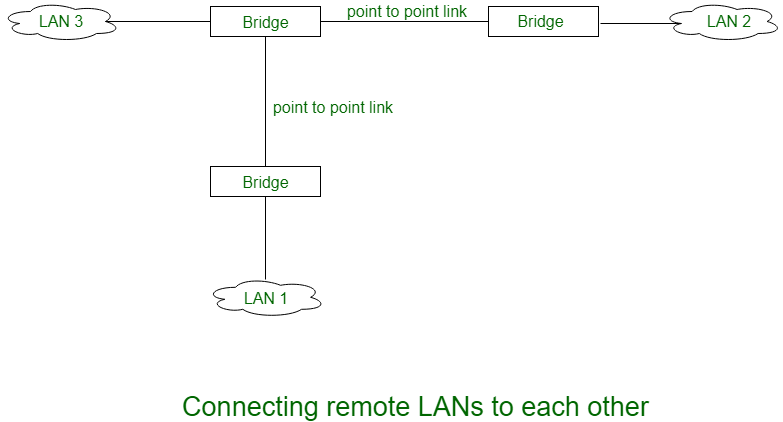 In this type of backbone network the connection are done through the bridge called remote bridges which acts as connecting devices in connect LANs as point to point network link. Example of point to point networks are leased telephone lines or ADLS lines. Such a point to point network can be considered as being equivalent ta a LAN without stations.